Every day and every year we’re creating more data. Video production in 4K and beyond for broadcast, TV, cinema and online platforms is generating ever-larger volumes of media content. Virtually every industry is information-driven, driving bigger data sets and bigger storage challenges. Successfully storing, managing and archiving these assets effectively is critical to the profitability and future success of any business. 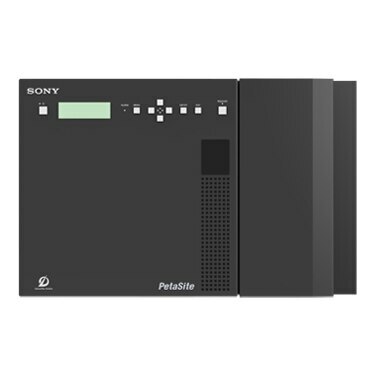 Optical Disc Archive form Sony is the reliable, high-performance long-term media storage solution that’s a compelling match for the needs of broadcasters and content owners, banks, researchers, universities and other data-driven organisations. Everyone’s data matters. Whether you’re looking for a simple answer your small-scale storage needs or an enterprise grade long-term archive and asset management solution, ODA offers the speed, capacity, resilience and reliability to cope with your growing needs. You’re in this for the long term… and so is your data. With Optical Disc Archive, your organisation’s precious digital assets are safeguarded, now and in the future. 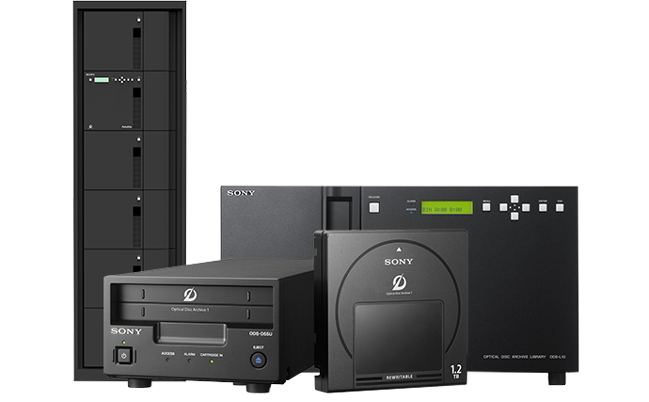 Optical Disc Archive builds on more than three decades of Sony’s advanced optical storage know-how. Forget failure-prone hard drives and obsolete tape technology. With rugged, reliable ODA your data is stored safely and securely, with a nominal 100-year media lifespan. With no physical contact between laser and disc surface, there’s no mechanical wear and tear to worry about. And unlike tape, there’s no need for the expense of environmentally controlled conditions – driving down opex even further. Your data’s most valuable when it’s truly accessible. With Optical Disc Archive it’s easy to find the files you need, whenever you need them. Forget about slow, frustrating searches through tape back-ups. ODA offers true high-speed random access, just like you’re used to with a hard drive. Track down that document, or play out videos directly with no waiting around to restore data from tape. 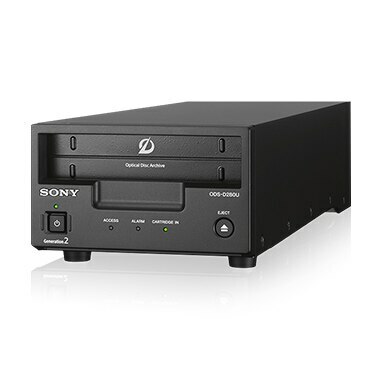 Let Optical Disc Archive accelerate your workflow, saving valuable time and cutting production costs. Time is money. Optical Disc Archive lets you store and retrieve your data faster than any tape can. As files get bigger, latest-generation ODA boosts transfer speeds as high as 2Gbps, with storage capacity up to 3.3TB per cartridge. Unlike tape, super-fast read times mean you can play back media files directly from disc. And with less time spent waiting for snail-paced backup and restores, you can streamline workflow and focus on what matters to your business. 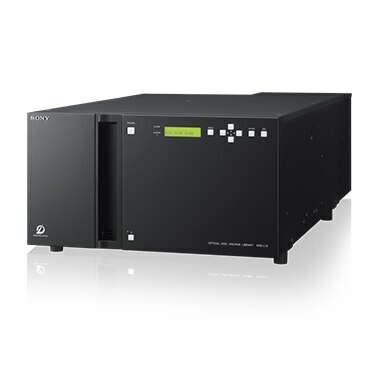 There’s a complete family of future-proofed Optical Disc Archive solutions, from compact standalone desktop drives to large-scale robotic libraries. Sony publishes a clear technology roadmap, pointing to further exciting advances in performance, storage capacity and transfer speeds. 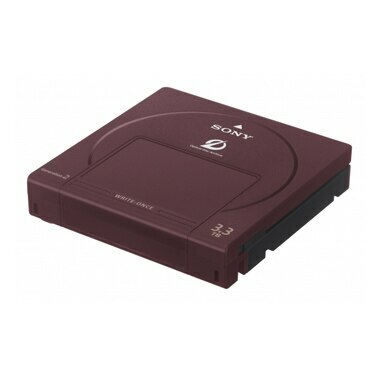 And the great news is that media you’ve written today will be compatible with tomorrow’s Optical Disc Archive hardware. So you can concentrate on building your business, without the headache of costly migration strategies. Ideal for small to medium sized production systems. Our most expandable archiving options. 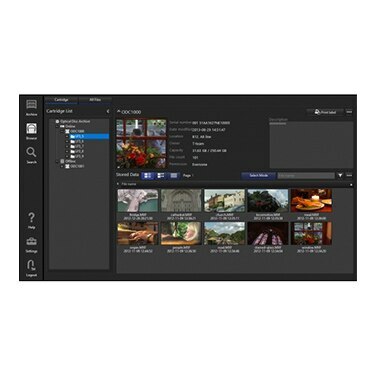 Content and file manager for stand-alone drives.